That’s LOVE! Artists & Fans Alike Come Out In Droves To Support ‘Something Else’! This is what hip hop is all about y’all. 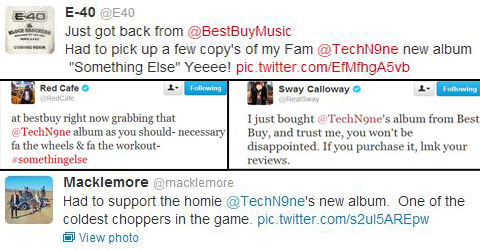 On the release day of Something Else, some of the biggest names in hip hop as well as droves of fans hit the streets and fled to Best Buy to grab a copy (or 6 in E-40’s case) of what is already being called Tech N9ne’s best work and the best album of 2013. 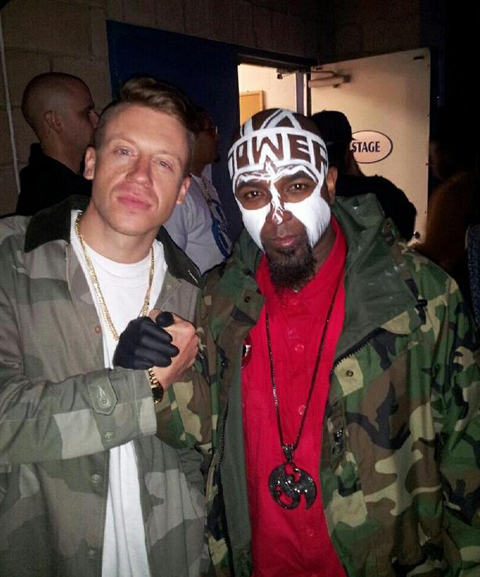 Throughout the day, Twitter has been absolutely blowing up with messages of love and support for Tech N9ne’s magnum opus, with artists like E-40, Macklemore, Big K.R.I.T., and more showing love for the Kansas City king. We’ve compiled some of the best reactions and messages of support from both the fans AND the artists on twitter below, take a look and don’t forget to hit Best Buy and grab YOUR copy! 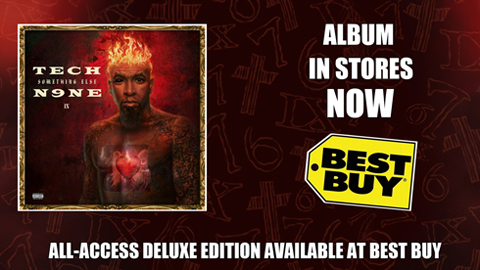 CLICK HERE TO PURCHASE THE ALL ACCESS EDITION OF ‘SOMETHING ELSE’ FROM BEST BUY!